Over the millennia humankind has sought to record and measure time. Watches which can tell the time with exceptional accuracy can be bought for very little today and yet our enduring fascination with exquisitely engineered mechanical watches remains undiminished. Not only do these watches connect us with the present but they also link us with points of extraordinary human endeavour and adventure from our past. Wristwatches have become a booming collectors’ market with prices at auction continuing to rise. The Omega Speedmaster Professional Chronograph has become an icon of space exploration. Buzz Aldrin wore one as he stepped on the lunar surface for the very first time in 1969. 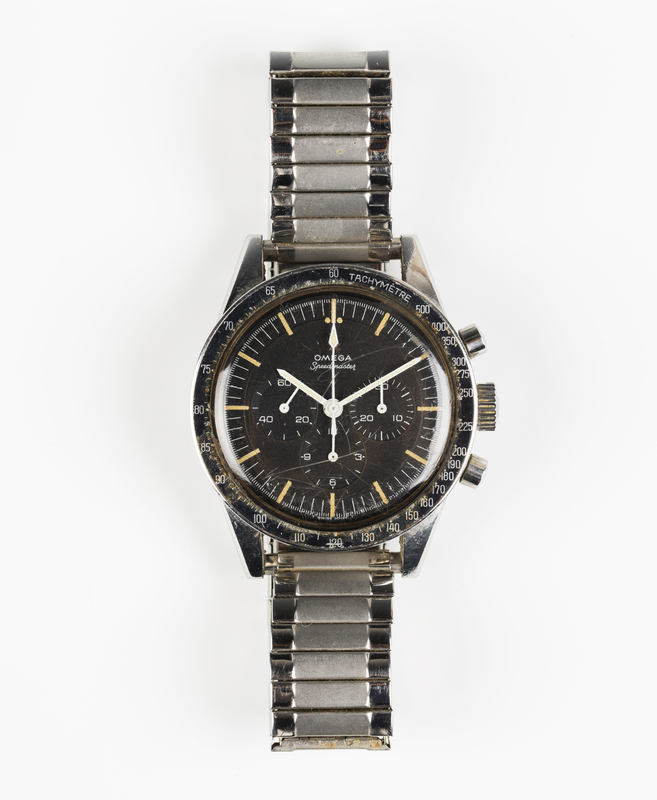 The Omega Speedmaster Professional has been used on all NASA’s piloted space missions, including the period of manned Moon landings between 1969 and 1972, and is still used by astronauts today. The example shown here dates from 1970, the year of the fated Apollo 13 mission whose story has been immortalised in film and writing. Against the odds the astronauts and their damaged spacecraft were returned safely to earth after they were forced to abort their Moon landing. Date, make, condition, model and originality are vital to a watch’s value and this example realised £10,500 in a recent Toovey’s specialist watch sale. 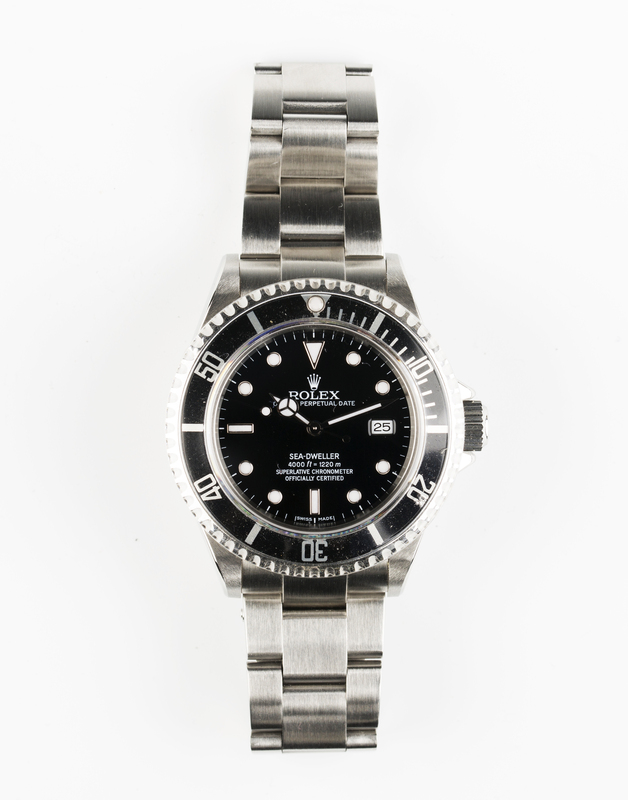 Perhaps the most iconic of all diving watches is the Rolex Submariner. The idea was conceived in 1953 by Rolex board member and keen diver, René- Paul Jeanneret, who identified the potential for a diving watch which could also be worn every day. The French underwater explorer, Jacques Cousteau, invented the aqua-lung ten years earlier in 1943 and is said to have used a Rolex Submariner himself on occasions. His underwater adventures aboard the ship Calypso would be made famous by the BBC television series of the 1960s and 1970s. Early and rare examples of Rolex Submariners can command five and six figure sums at auction. But later pre-owned examples, like the one shown here dating from 2006, can be purchased at auction for between £3000 and £6000 depending on condition. The watchmaker Heuer can trace its history back to 1860. 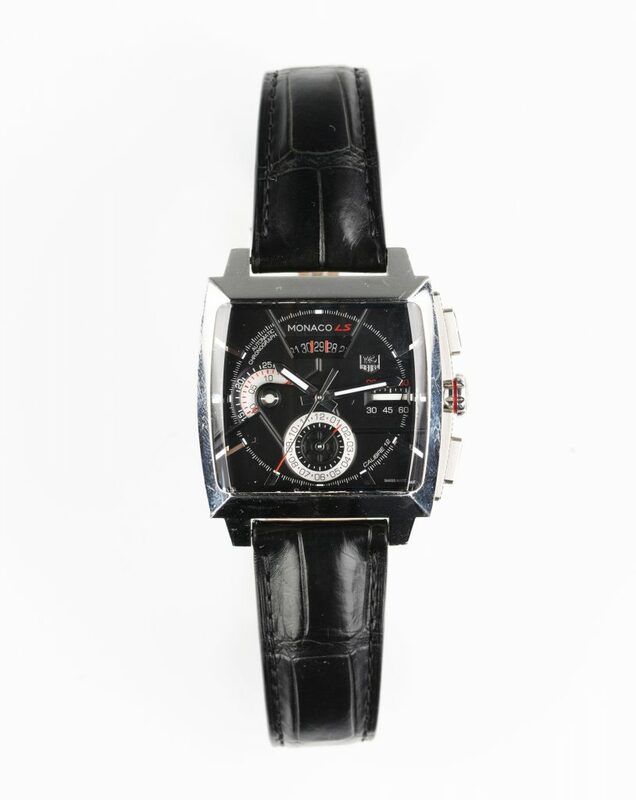 It became TAG Heuer in 1985. Heuer was a leading maker of stopwatches and from the 1950s to the 1970s their chronograph wristwatches became popular among amateur and professional motor racers including the actor Steve McQueen. The Tag Heuer Monaco LS Calibre 12 gentleman’s wristwatch illustrated copies the earlier version and dates from 2015. Whilst the 1970s originals command the highest prices these pre-owned, beautifully crafted later editions fetch around £2000 at auction today representing great value to the watch and motoring enthusiast. The increasing demand and prices for wristwatches at auction reflects the enduring appeal and strength of this collectors’ market. Toovey’s next specialist watch sale will be held on Thursday 7th September 2017 and further entries are still being accepted. Tom Rowsell, head of Toovey’s specialist watch auctions, is always delighted to meet with fellow wristwatch enthusiasts and can be contacted by telephoning 01903 891955. From left to right: Lady Fiona Barttelot, Caroline Lucas, Lady Emma Barnard, Katie Holmes, Peter Field, Maureen Chowen, Quenelda Avery, Trevor Moss and Liz Harper celebrating St John Ambulance in Sussex in the Great Hall at Parham140 years of the St John Ambulance tradition was celebrated at their 2017 Sussex Awards. 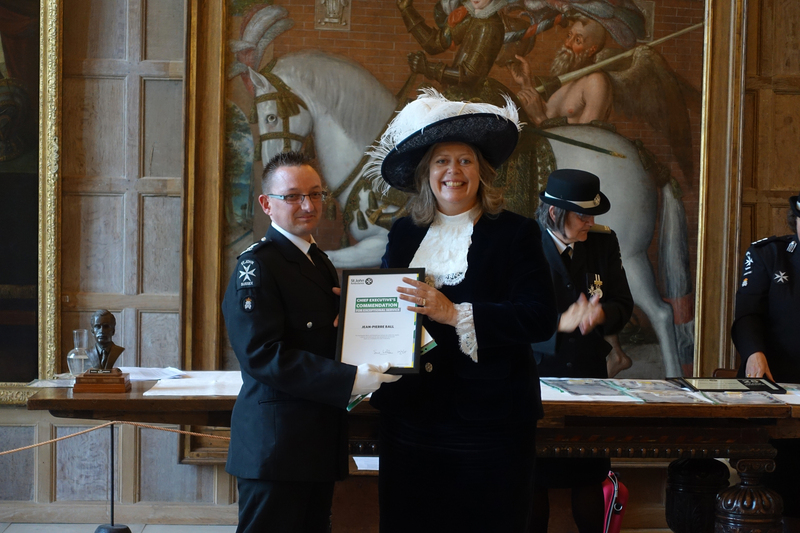 These annual awards celebrate outstanding achievement and service by the volunteers and this year they were hosted by Lady Emma Barnard, The High Sheriff of West Sussex, at her Sussex home, Parham House. 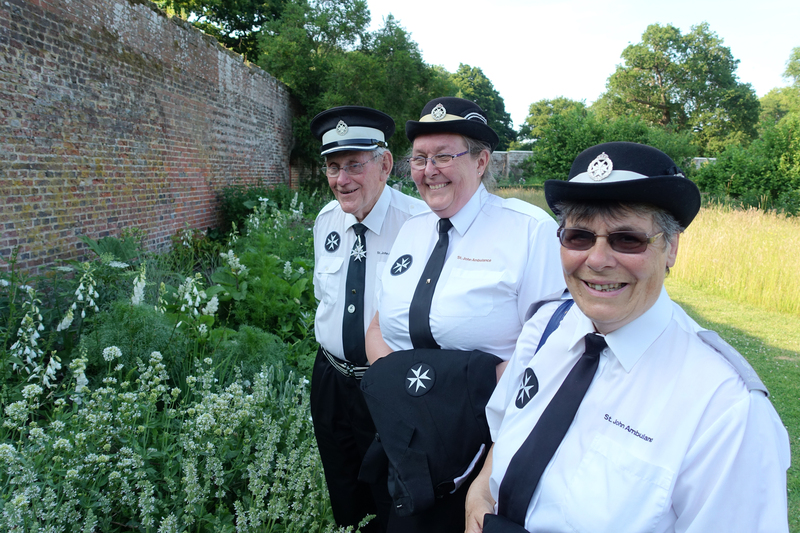 The St John Ambulance Sussex volunteers were treated to time in Parham’s walled gardens before being welcomed by Lady Emma Barnard in Parham’s Elizabethan Great Hall for the awards. At the heart of the organisation are the Order’s mottos ‘Pro fide’ and ‘Proutilitate hominium’ – ‘For the Faith and in the service of humanity’. As their Sussex Chaplain I offered prayers for the work of the St John Ambulance in Sussex and the Order of St John. The presentations were led by The Lord Lieutenant of East Sussex, Peter Field, and Lady Fiona Barttelot, representing Mrs Susan Pyper the Lord-Lieutenant of West Sussex. They were supported in their duties by the High Sheriffs of East and West Sussex, Maureen Chowen and Lady Emma Barnard. 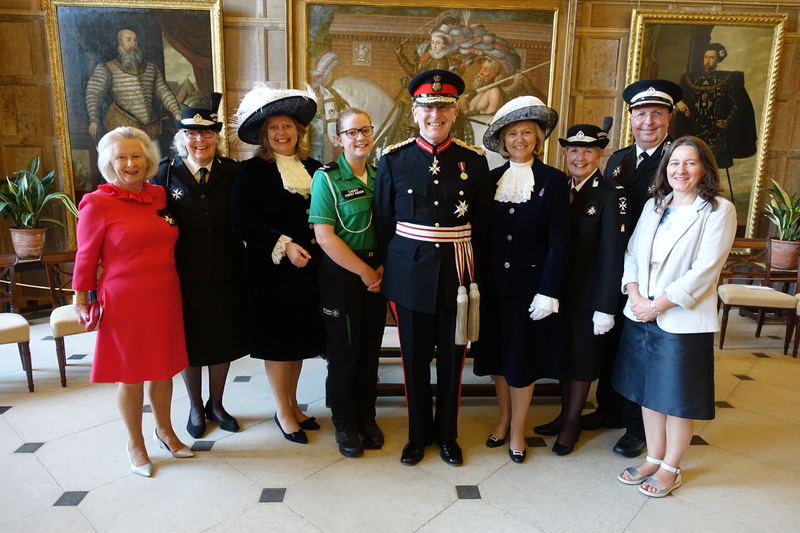 The Lord-Lieutenant of East Sussex Cadet, Katie Holmes, was proud to be at the heart of the awards together with Sussex County President Caroline Lucas, Chairman, Quenelda Avery, District Manager, Trevor Moss and Regional Director, Liz Harper. Jean-Pierre Ball was given a Chief Executive’s Commendation Award for exceptional service to our county and St John Ambulance by Lady Emma Barnard. Amongst the many long service awards were three volunteers, Linda Hickman, Christine McIntyre and John Wright, from the Bognor Regis Unit, who earlier in the evening had delighted in their time in Lady Emma’s gardens. The Awards were followed by a garden party in the marquee. It is remarkable to reflect that St John Ambulance pre-dates the National Health Service by 70 years. A uniformed organisation, its volunteers can be readily identified by the eight-pointed Maltese Cross which they wear proudly. 140 years on St John Ambulance continues to be dedicated to the teaching and practice of medical first aid and the provision of ambulance services through volunteer units rooted in their local communities. There is much to celebrate in their work and they are deserving of our thanks. If you would like to learn first aid, join or support St John Ambulance in Sussex look up your local unit headquarters and pop along. 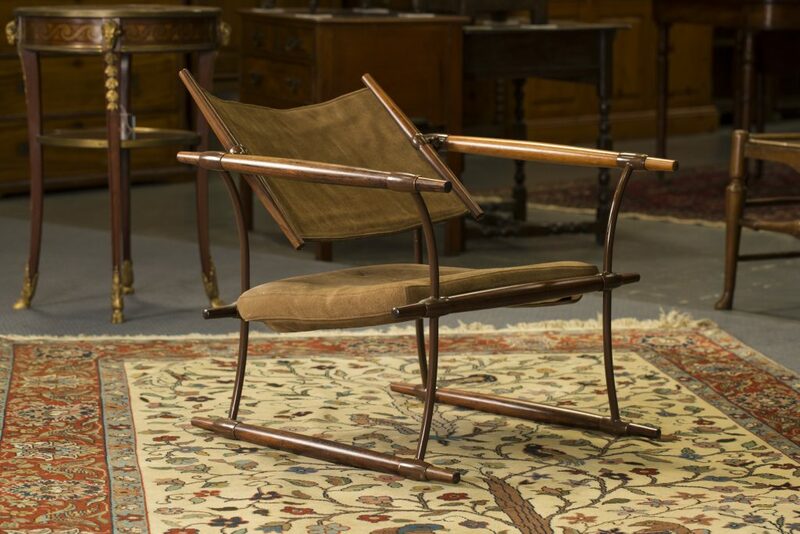 For many years now the conversation around antiques has centred on the fall in value of ‘brown’ furniture and there is no doubt that traditional British antique furniture represents exceptional value. But this story has overshadowed the many areas of collecting which have continued to attract the attention of growing numbers of collectors and where prices are rising. Amongst these are the fields of Arts & Crafts and 20th Century Design. They cover not only furniture and fine art but also silver, metalwork, ceramics, glass, clocks and objets. Collectors delight in being connected with the craftsmen and women through the pieces that they made or designed. The quality, clean lines, architectural forms and colours of Arts & Crafts and designer furniture and works of art speaks to our contemporary tastes. Take for example the three pieces illustrated which are already entered for Toovey’s specialist auction of Arts & Crafts, Studio Pottery and 20th Century Design on Friday 8th September 2017. The rosewood and brown patinated metal armchair, upholstered in suede, was designed by Jens Quistgaard around 1965. It has an extraordinary pivoting backrest and was manufactured by Richard Nissen in Denmark. Its design is sculptural and amazingly comfortable. The Liberty Tudric clock was designed by Archibald Knox. Amongst the leading exponents of the Arts and Crafts taste was Liberty & Co. Its founder, Arthur Lazenby, built the Liberty brand by employing some of the country’s leading designers though he insisted that they work anonymously. Amongst these designers was Archibald Knox who joined Liberty & Co in 1899. Knox was the creative force behind Liberty’s Celtic Cymric and Tudric designs worked in silver and pewter. 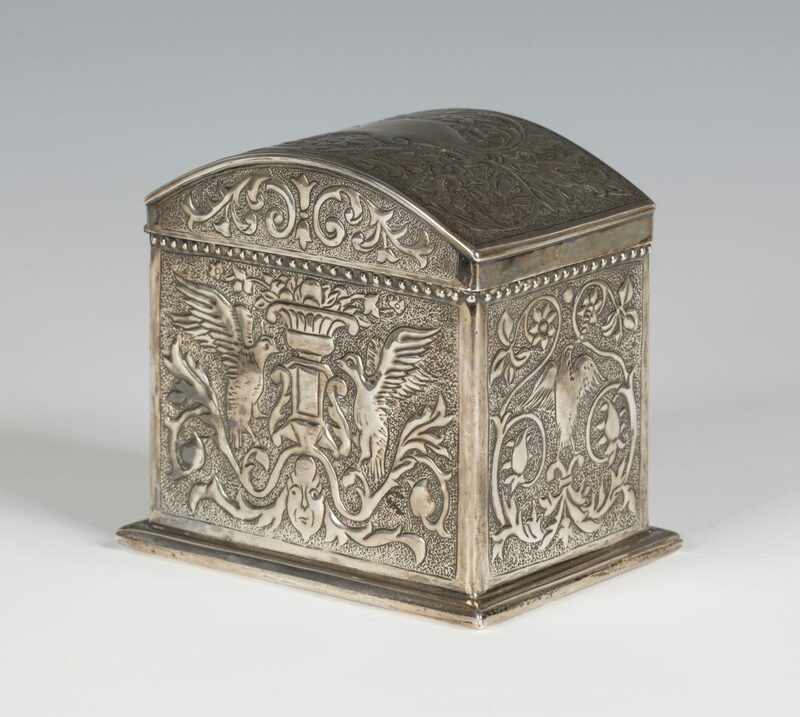 The Arts and Crafts silver casket dates from 1890 and is perhaps the earliest known example of silverwork by the Keswick School of Industrial Art and therefore one of the earliest examples of Arts and Crafts silver. It is intricately repoussé decorated with birds, urns and leaf scrolls. The Keswick School of Industrial Art was founded in 1884 to alleviate unemployment by the Revd. Canon Hardwicke Rawnsley and his wife Edith. It began as an evening class in woodwork and repoussé metalwork at the Crosthwaite Parish Rooms in Keswick, Cumbria. Within ten years the numbers of men attending the classes had reached more than one hundred and a new school was built. These objects carry estimates ranging from the high hundreds into the low thousands reflecting the strength of these collectors’ markets. Further entries for the auction are still being accepted. Toovey’s specialists William Rowsell and Glen Charman are always delighted to meet with fellow connoisseurs of Arts and Crafts and 20th Century Design and can be contacted by telephoning 01903 891955. 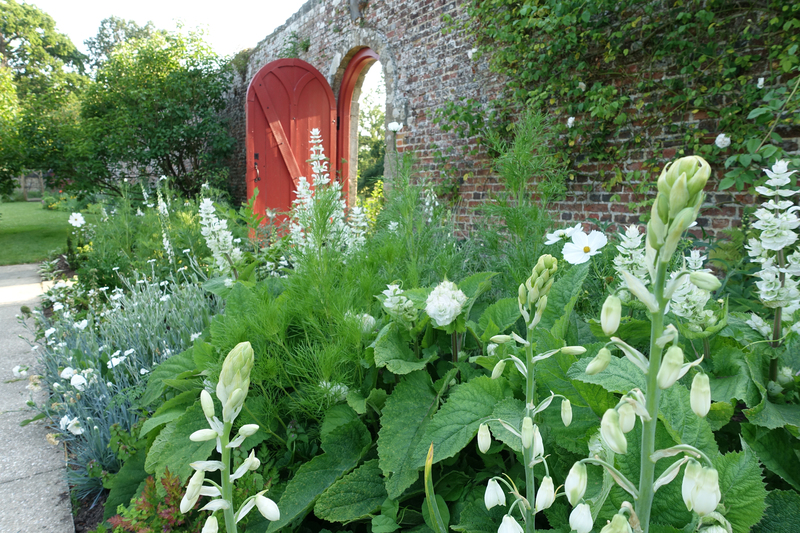 Parham’s Garden Weekend is becoming Chelsea by the Sussex Downs thanks to its long gardening tradition and the growing national reputation of Head Gardener, Tom Brown. For me this quintessential celebration of our passion for gardening is one of the highlights of the Sussex summer calendar. I come across Tom Brown preparing for the weekend in the greenhouse. The light, perspective and abundance of flowers in the greenhouse is reminiscent of Eric Ravilious’ famous watercolours of greenhouses painted in Sussex in the 1930s. 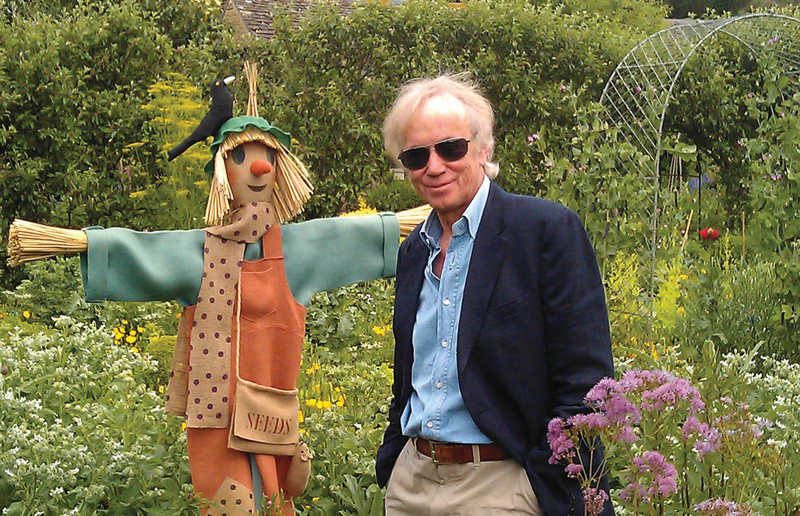 It’s a measure of Tom Brown’s growing stature that many of the country’s leading horticulturalists, gardeners and designers choose to congregate at Parham for the Garden Weekend year after year. Amongst those coming to celebrate gardening at Parham is former Chelsea Physic Head Gardener and BBC Gardener’s World presenter, Nick Bailey, who will be holding a book signing event. Society garden designer, author and Chelsea Flower Show Gold Medallist, Jinny Blom, leading plants woman, Marina Christopher, and doyen of cut flowers and designer of one of BBC Radio 2’s 2017 Chelsea sensory gardens, Sarah Raven, all have Parham’s Garden Weekend on their calendars. In between the talks and workshops Tom Brown, his garden team and volunteers, will be out in force to offer advice and to interpret the garden for visitors. 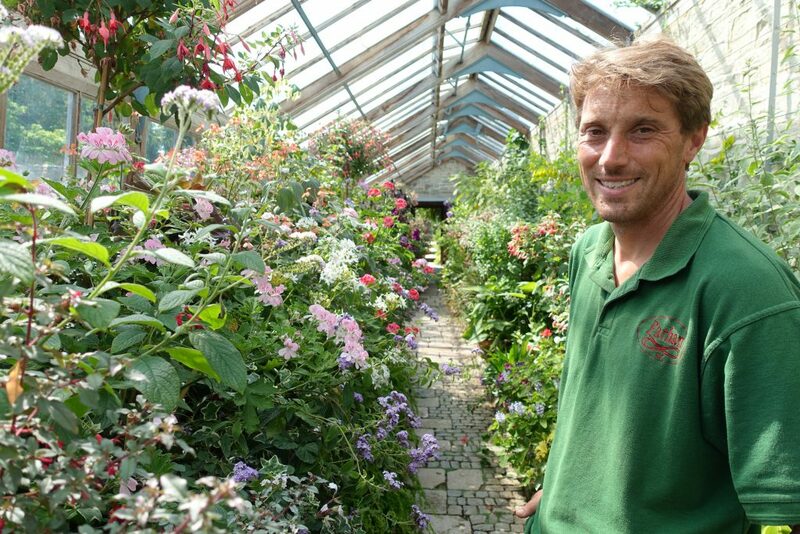 It is rare for the public to have such unmediated, direct access to horticulturalists like Tom and his team. This generous and outward facing spirit pervades all that Parham does which allows Tom to put a spot light on the best that Sussex has to offer. Many of our county’s most talented plants men and women, growers, specialist nurseries and local talent will be exhibiting at Parham, giving the discerning gardening public access to top quality plants and advice. It is this authenticity which makes Parham’s Garden Weekend so unique. This and Tom’s vision and integrity is attracting increasing attention from across the country. The upward trajectory of Tom Brown and the gardens at Parham is set to continue. There is a sense of long-term patronage at Parham. Tom is quick to celebrate Lady Emma Barnard’s role in this. Her love of Parham and her patronage continues to bless this place with such life and creativity. In recent years there has been significant investment in the borders with experimental trials in planting. 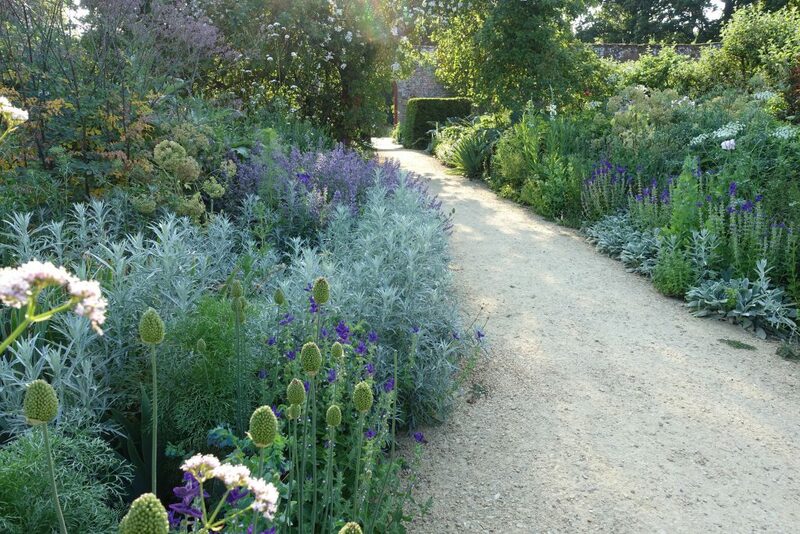 The palette of plants is very important to the opulent, artistic borders at Parham. The restored Blue Border and the new White Border give expression to the natural informality of the ‘Parham Way’ and delight the senses. There is much in the old and the new to enchant the visitor. I am looking forward to Parham House and Garden’s ‘Garden Weekend’ this coming Saturday and Sunday, 8th and 9th July 2017, 10.30am to 5.00pm. For more information go to www.parhaminsussex.co.uk or telephone 01903 742021. I look forward to seeing you there! 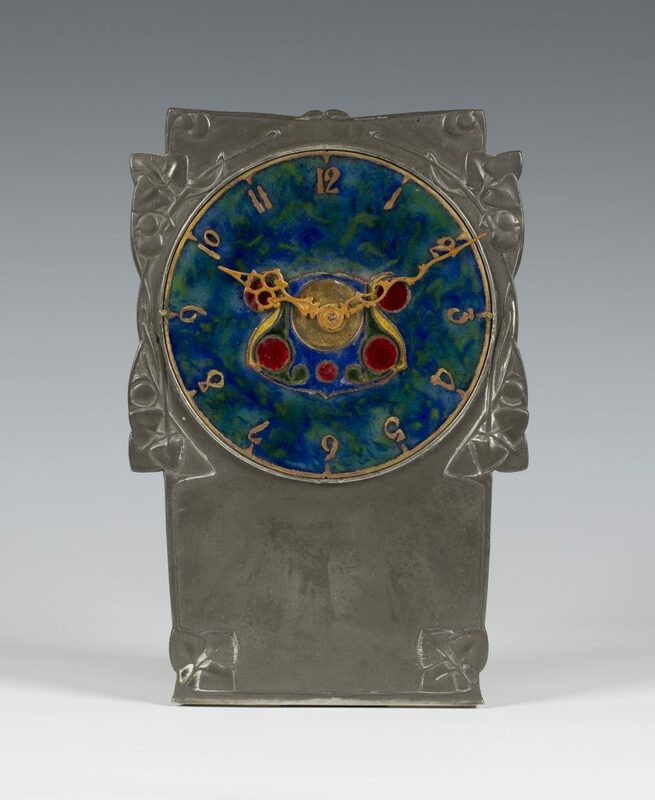 Toovey’s are holding a specialist auction of Automobilia which will include pieces from the late Alistair Morris’ collection. Alistair Morris grew up in Horsham. His career in the auction world began at King & Chasemore in 1978. The salerooms merged with Sotheby’s the following year and Alistair would eventually become managing director of Sotheby’s Sussex. An avid collector from his childhood, he built up the collectors’ department at Sotheby’s. His celebrated book Antiques from the Garden was published in 1996. 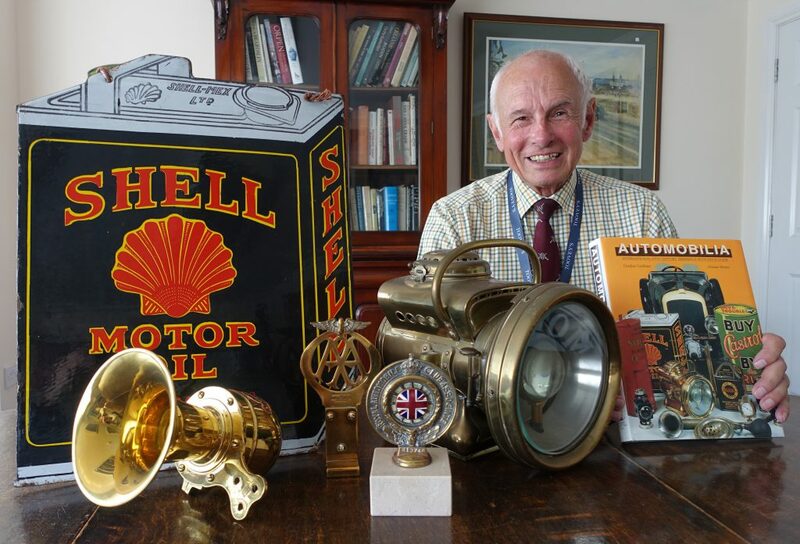 I ask Gordon why Automobilia has such appeal to collectors. He responds “Automobilia connects the motor car enthusiast with the vehicles themselves. Very few of us have the space or the funds to acquire the cars but by comparison Automobilia can be collected on a much more modest budget.” I agree, these pieces of motoring history are great value and have long delighted my eye. Gathered around Gordon in the Toovey’s offices you can see an array of Automobilia entered for auction from the collection of Alistair Morris and others. Many of the pieces are illustrated in their Automobilia book which has become a collectors’ item in its own right. The large brass lamp is amongst the earliest pieces entered from Alistair’s collection. This fine acetylene headlamp is by Powell & Hanmer and dates from c. 1904-1914. Alistair once explained to me that these lamps were stirrup mounted to the car and detachable for ease of cleaning. The bull’s-eye condenser lens would have magnified the beam. 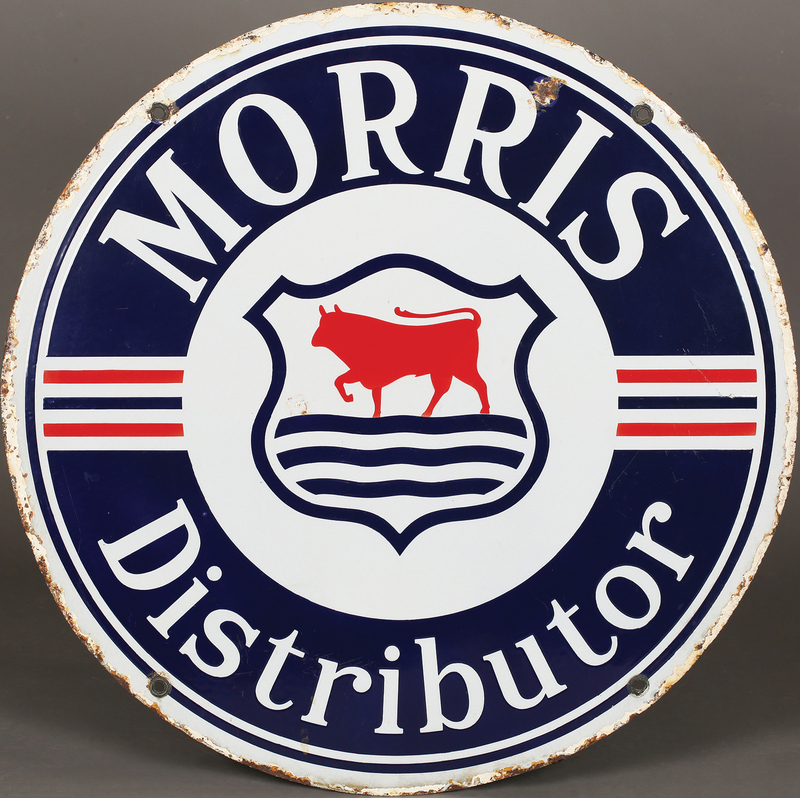 The Morris Distributor double sided enamel sign was a great favourite of Alistair’s because of the name. I remember his delight when he acquired it at Toovey’s. Like so many of the enamel motoring signs it dates from the 1920s and 1930s. It was made for Morris dealers to display in their showrooms. I am looking forward to celebrating Alistair Morris’ life-long passion for collectors’ items at the sale. He worked tirelessly for our profession and I, like so many in the collectors’ world, was grateful for his encouragement, advice and friendship over many years. Toovey’s specialist sale of Automobilia, including the Alistair Morris collection, will be auctioned on Friday 14th July 2017. With estimates ranging from £80 to £500 there is something to delight the motoring enthusiast whatever their budget. For more information go to www.tooveys.com or to reserve a catalogue telephone 01903 891955.